The office has been known as a general synonym for the workplace for quite a long time. As more and more of business has expanded to include digital frontiers, you will find that more and more businesses will buy up office space to get work done. Who says, however, that an office has to be entirely dedicated to working? Today, we are going to be discussing a topic of some contention between business owners with a more traditional mentality and those who think in terms of modernizing the workplace. If you believe that an office is a place which is only meant for work and no other purpose, you may have a bone to pick with the topic of this article. Today, we are going to be discussing office sports. More specifically, we are going to be discussing office sports for startups. Startups are like small businesses, but they are essentially the small business redefined. As opposed to small businesses (which sometimes sell niche products), startups tend to sell to an unconstrained market. The point of a startup is to attain growth that would otherwise be impossible in a small business. This growth is achieved through the use of every trick in the book, from the use of guerilla marketing to the widespread implementation of more modern technology for each one of their employees. Before we get to the subject of why foosball is the best office sport, let's take a look at why you would want to have a game table in your office in the first place. 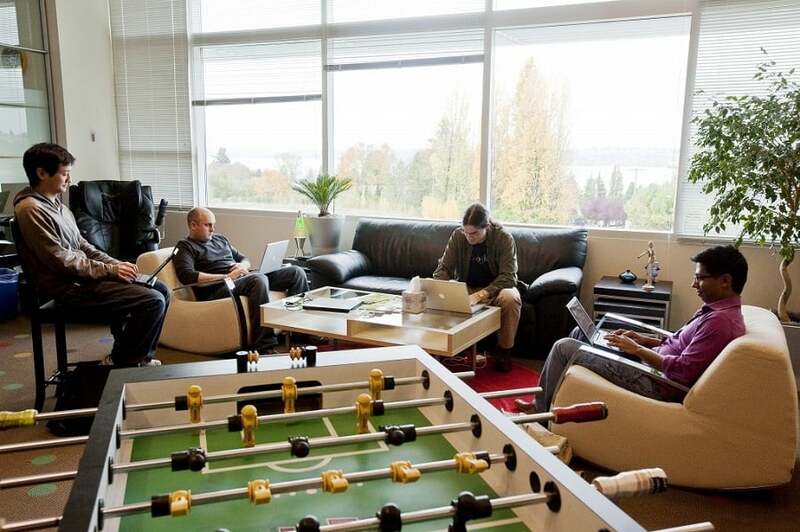 After all, the office is called a workplace, and foosball, table tennis, and air hockey do not seem to be work. Why Have A Table Sport in Your Startup Office? You may be wondering why you would want to have something that is not related to work in your office. In fact, many facts prove that it is a good idea to include a table sport in your workspace. The first reason is that it gives your employees something to do during downtime. Every manager loves to think that there is no such thing as downtime for their employees. Unfortunately, unless you are running a naval vessel, you will find that there are times that your employees are out of things to do. Instead of having your employees sit around and do nothing on their computers, give them something fun to do. Another reason that many bosses tend to neglect is that there is such a thing as office morale and it does affect your employees’ work capabilities. It has been proven time and time again that a motivated worker is a good worker. There are few better ways to ensure that your employees are motivated than showing them that you care with a game table. Another great side effect of including a game table in your workplace is that it provides a chance for your employees to bond. It can even create friendly rivalries in the office, which has been proven to boost the performance of both employees that are part of the rivalry. You have a few options when it comes time to choose the ideal game table for your office. There are several aspects to take into consideration when you are making your purchase; so we will go over each of these options. One of the options is air hockey, which has the advantage of being fun and fast-paced, but it is not ideal for an office environment for many reasons. Primarily, an air hockey table is much louder than some of the other games that are based on a table. Air hockey tables are also much more expensive than some of the other game tables at your disposal. Another con to air hockey tables is that they can usually only be played by two people at a time, so they are not ideal for breaks during which several workers will be in the room at a time. The next choice you have is a ping pong table. Ping pong, also known as table tennis, has the advantage of affordability, as all you will need is balls and paddles. Unfortunately, there are also a few downsides to table tennis. The first of these downsides is the same as in air hockey, as only a few players can compete at a time. Another downside that is unique to table tennis is that it is very easy to end up losing the balls. If you have ever seen a public ping pong table before, you will know that the balls are usually missing. Another option is a pool table, but this has the disadvantage of being a more slow-paced game, and it is possible for the other employees to be consistently beaten by the pool sharks of the group. This brings us to foosball, which is by far the best choice for an office sport. Foosball has the advantage of being reasonably affordable. While a quality foosball table will not be as affordable as a ping pong table, you will find that it is still reasonably priced. Another reason for the effectiveness of foosball in an office is that it is easily accessible and can be enjoyed by those with less skill than others. Foosball is also a group sport that can be played by four or sometimes even six people at a time. 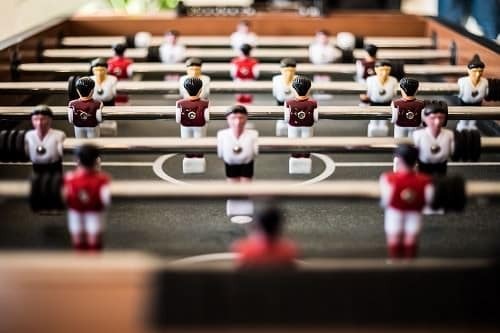 If you are hoping to implement an office sport, there are few better options around than foosball, so why not give it a try? 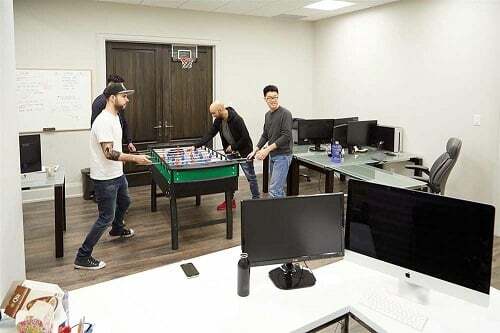 As you can see, there are no better choices than foosball for those of you who are looking for an ideal office sport, for a startup or any other office. We hope that this article has been able to answer any questions you have. Speaking of questions, feel free to leave any that remain in the comments down below.